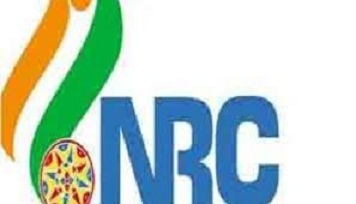 Tribal organisations are opposing the Bharatiya Janata Party (BJP) move to include refugees from erstwhile East Pakistan in the draft National Register of Citizens (NRC). The conglomeration of 30 tribal and indigenous ethnic groups Assam Sanmilita Mahasangha (ASM) is opposing tooth and nail the inclusion of refugee card holders in the draft saying that it would be “tantamount to granting citizenship”. It dubbed the attempt a political game by BJP with an eye on the 2019 elections. A report published in the The Times of India stated that the opposition comes at a time when the saffron party has been advocating inclusion of refugees, especially Hindus who were sheltered in Assam between 1965 and 1971. Many applicants – with refugee cards – could not make it to the final draft. A refugee card is one of the 14 eligible documents for updating names on NRC. BJP spokesperson Rajdeep Roy said on Friday that it has also been noticed that people who came as refugees from erstwhile East Pakistan because of persecution back home, were left out of the NRC despite possessing documents proving their migration and stay in relief camps. The saffron party has demanded that migration-related documents or camp inmate cards be regarded as documents for inclusion of names. Altogether, 40.07 lakh people were left out of the final draft NRC which was released last month. Among those who could not make it to the list included 2.48 lakh people who have been declared foreigners and ‘D’ voters along with their descendants and family members.